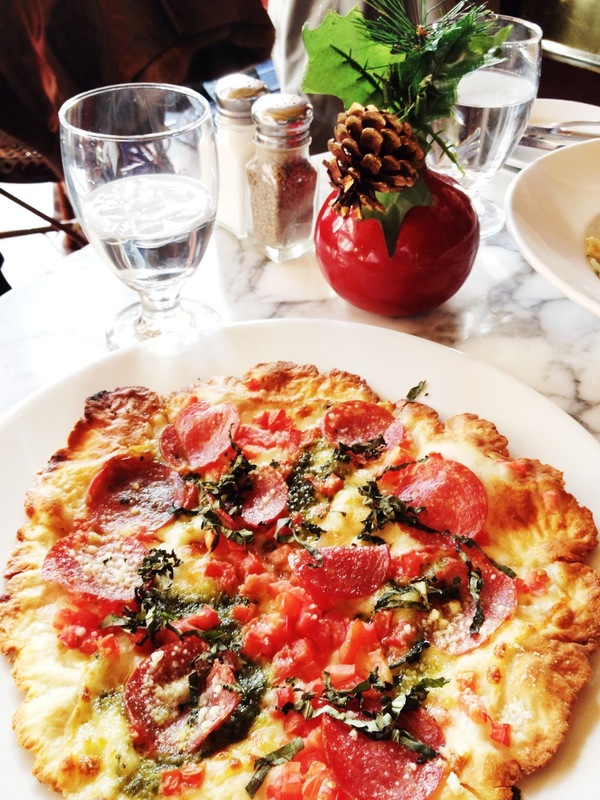 Our last day before going home to San Francisco for the holidays, we took a stroll down the adorable Newbury Street and snagged prime seating at Sonsie for lunch. 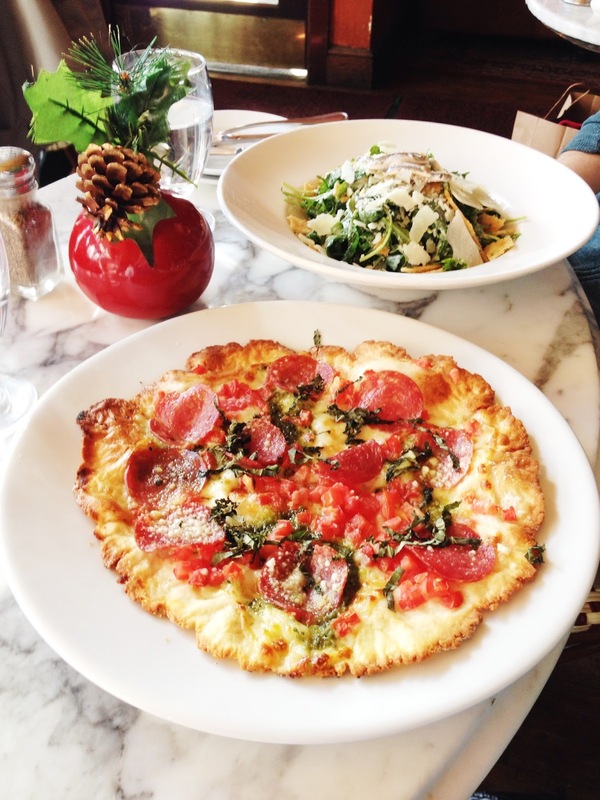 Sonsie has great atmosphere and a great menu, including a special gluten free one which includes pizzas! 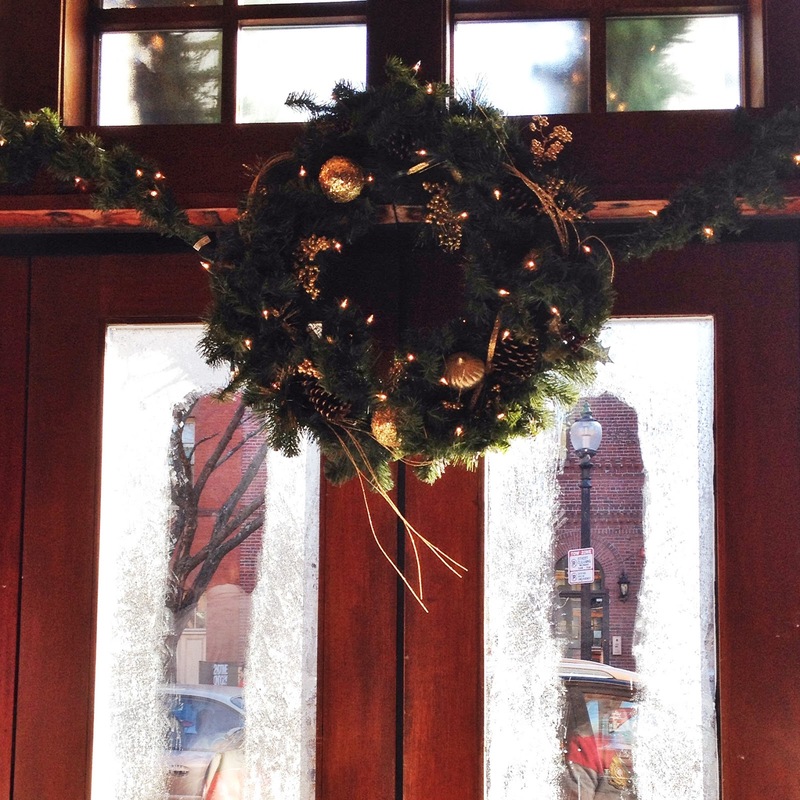 The service was painfully slow (we were there for 2-3 hours), but the food was delicious and the festive ambiance was warming -they even added faux frost to the windows! 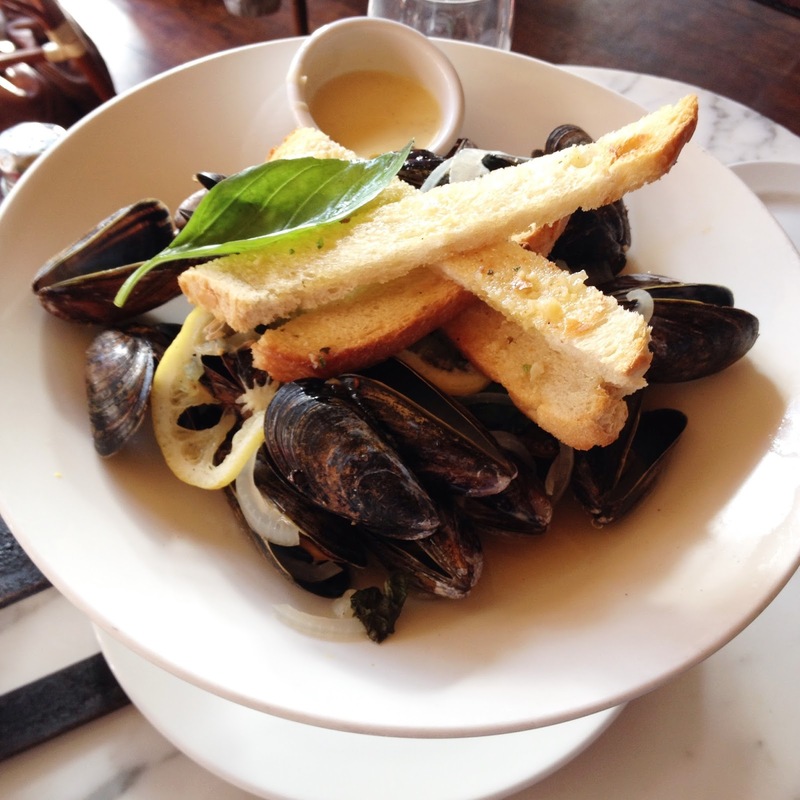 The mussels came with a great buttery sauce. 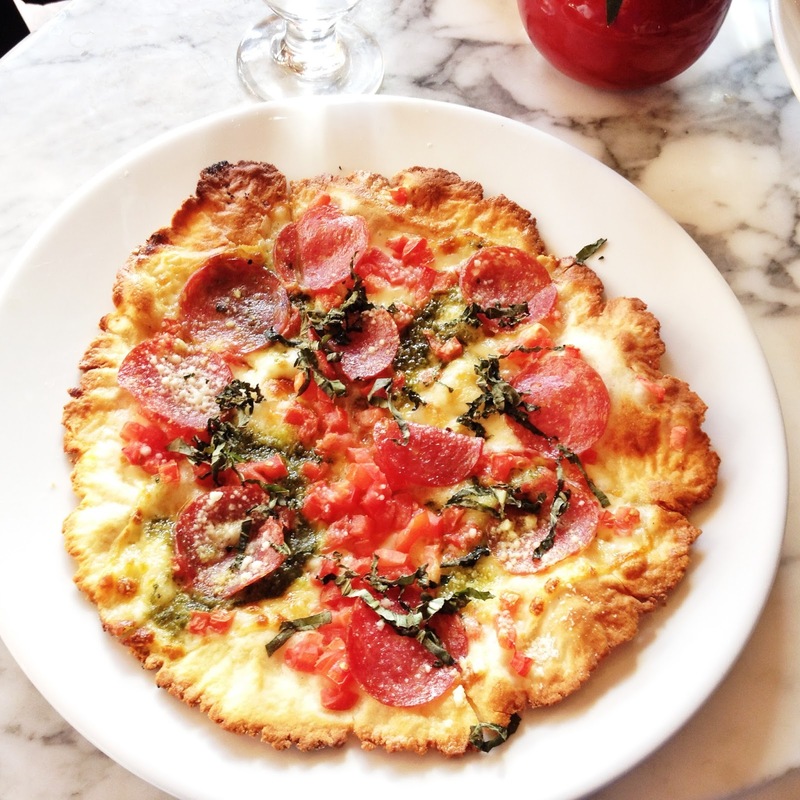 I ordered the gluten-free pizza you see above, with fresh tomatoes, basil pesto, mozzarella, pecorino and soppressata. It was light yet scrumptious – each ingredient was so fresh and full of flavor. 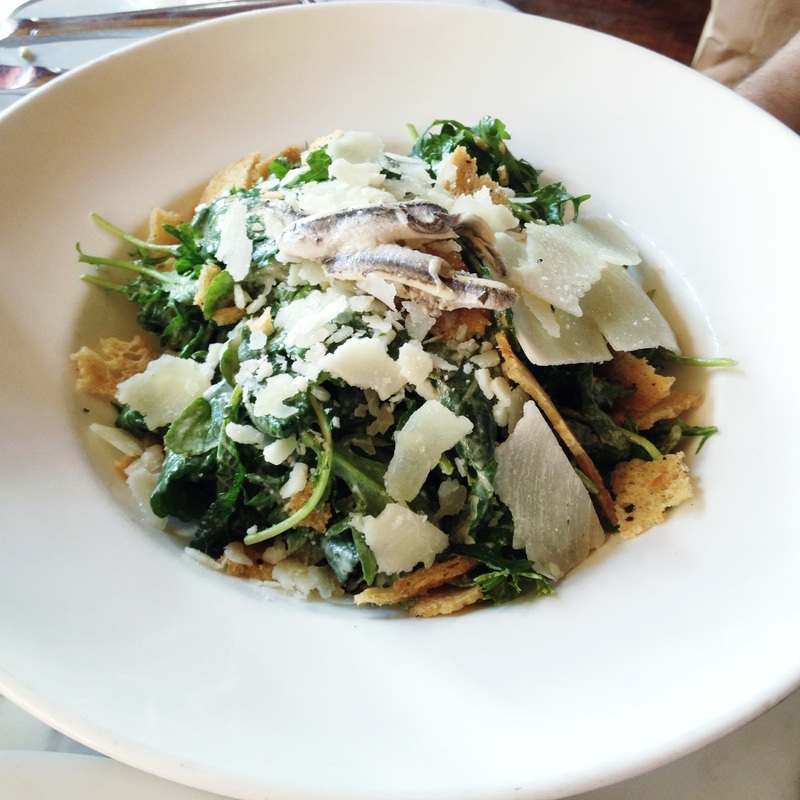 The Caesar salad at Sonsie was filling yet healthy, and came with anchovies on top! It’s not a real Caesar without anchovies, after all. The fish coupled with the parmesan cheese made for great flavor in the salad. 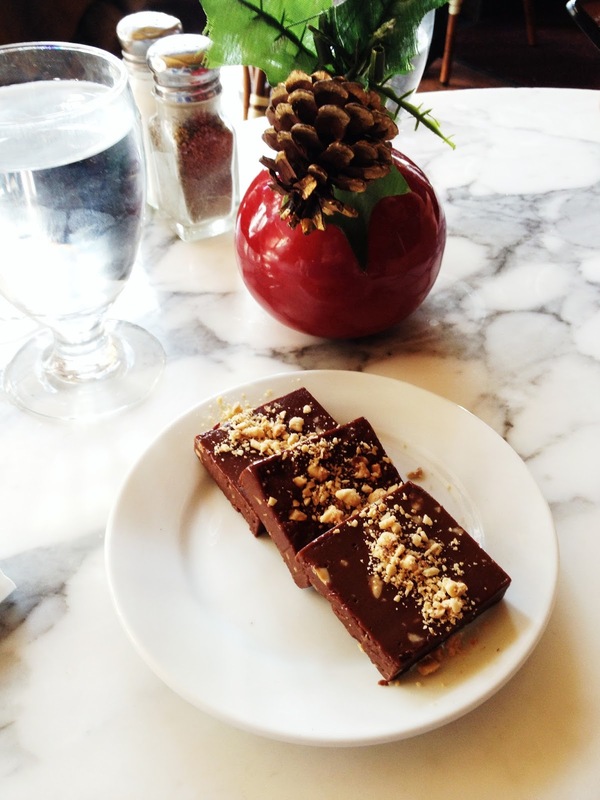 Last but not least, this dark chocolate fudge with hazelnut was the perfect way to end a delicious meal. It wasn’t too rich, but just sweet enough. All in all, if the service had been a tad faster it would have gotten a 10/10 rating in my book. We were there for over 2 hours, but granted this is probably one of the busiest times of the year for Sonsie and Newbury Street in general, seeing as it’s the last weekend before Christmas. 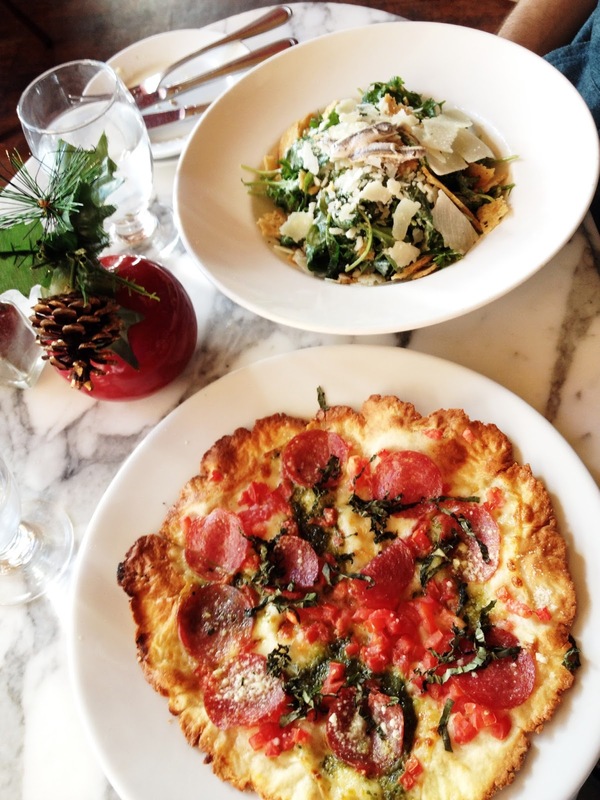 Comment Challenge: Are there any must-try restaurants you frequent over the holidays?